Last weekend, my family and I had the pleasure of staying at the Hotel Indigo – a very nice hotel and great value. 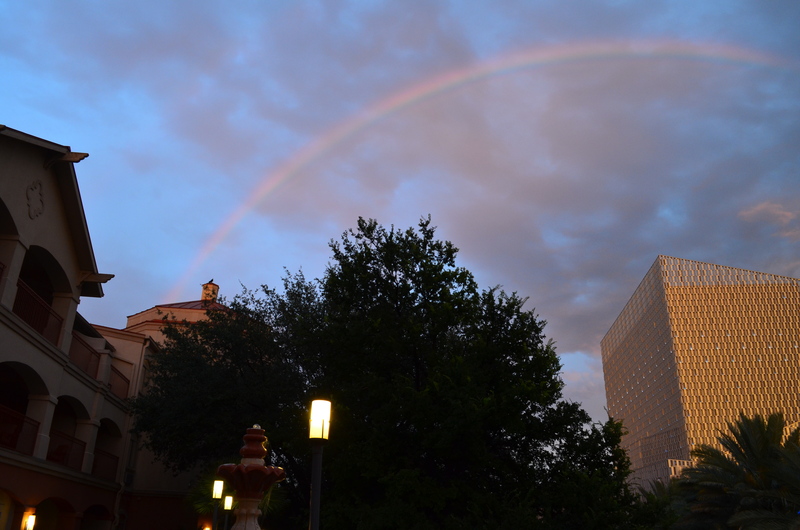 The hotel sits right across the River Walk from the Tobin Center for the Performing Arts, and while we were at the pool, a rainbow appeared above the hotel and the Tobin Center. I immediately ran and grabbed our camera to see if I could get some good shots before it disappeared. In fact, a bunch of people staying at the hotel very quickly gathered on the patio by the pool to take pictures. The header photo to this blog is one of the photos I was able to capture. The full picture of the header photo along with a few others I captured are shown at the bottom of this post. You can also see some pictures and read about my wife’s perspective on the events at her blog: http://www.livinsassy.com. I have done several economic analyses of the impacts of various new facilities, redevelopments, and transportation projects. 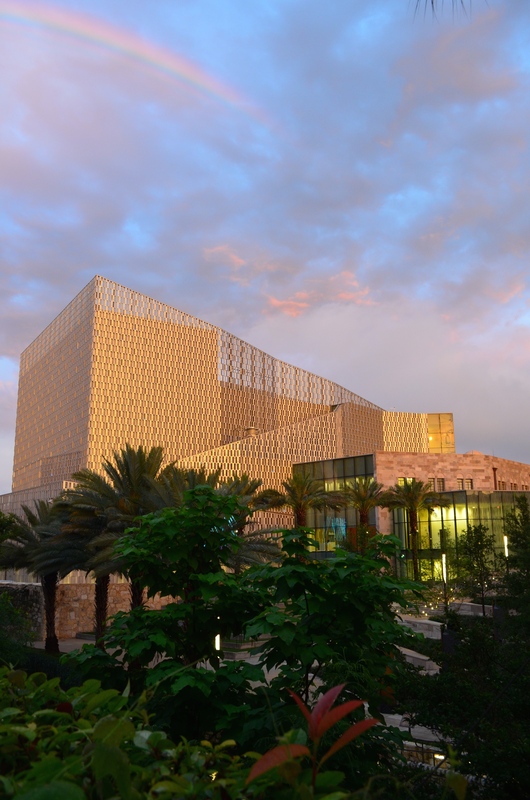 It is a lot of fun to do these studies, as I love crunching the numbers, but as the Tobin Center was being built, I came up with the idea of studying the impacts it would have on development in the immediate area. I have done quite a bit of cultural planning and analysis of the interplay between the arts and economic development, but I have never had the opportunity to follow the impact of a facility like this on economic development over time. The difference with this analysis is that I would track the development over the years photographically. I can complement the photographs with the numbers later, but I think it will be great fun to use the camera as a tool in the analysis. I will be able to pursue two of my passions – photography and economics – all in one project. 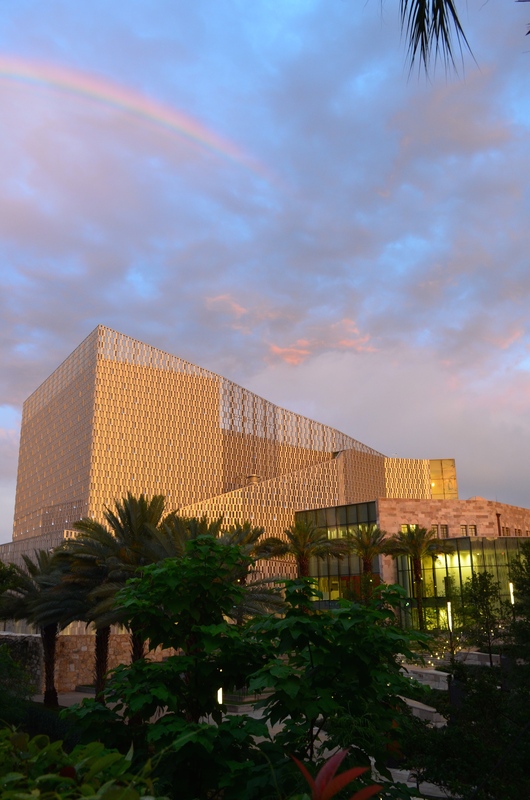 As previously mentioned, this idea came to me while the Tobin Center was being built, so obviously, I have been procrastinating in getting this project started. 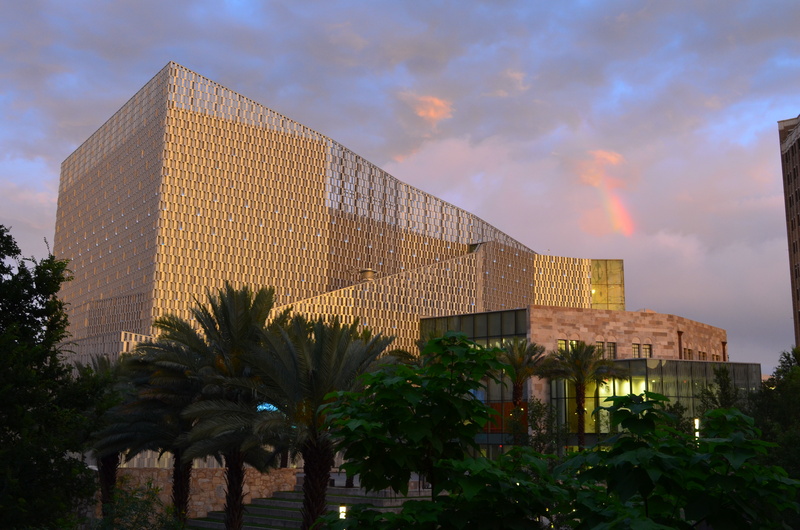 The beauty of the rainbow, the Tobin Center, the Hotel Indigo, and being with my family and my daughter’s great friends this past weekend provided me the inspiration and motivation to finally get to work on it. So, the project has officially begun. I will post more soon about how you can follow it. This is a long-term project, as the development will not occur overnight, so if you do plan to follow the project, please be patient. I am confident the development will occur, and as it does and as I am able to capture it with my camera, I will post the pictures and my thoughts. It will be fun!